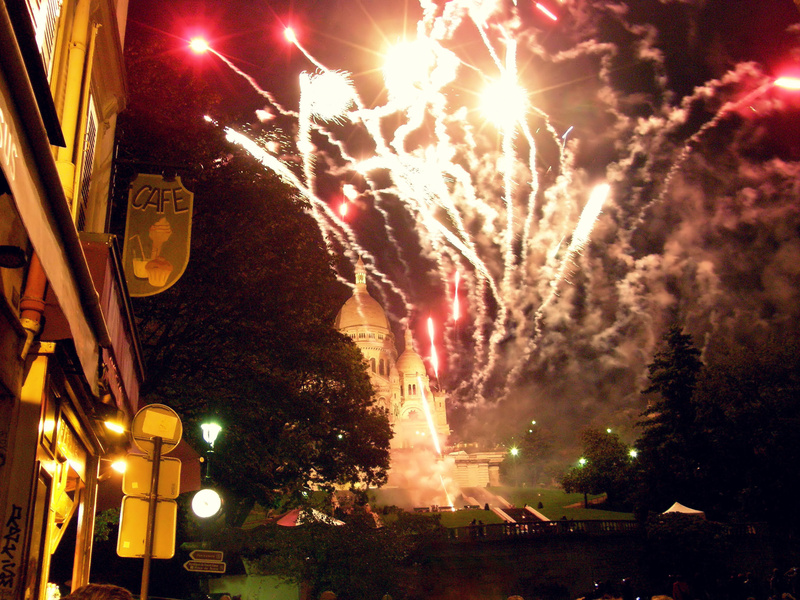 The weekend of October 13-14 sees the annual celebration of the Harvest Festival (or Fête des Vendages) in Montmartre. 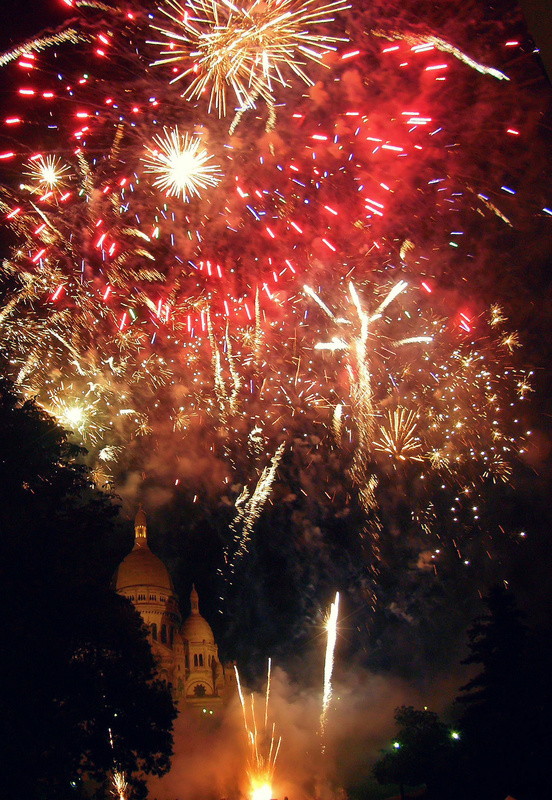 Each year the grapes at the Clos Montmartre — Paris’s only operating vineyard — are picked and made into what the New York Times reportedly called the most expensive bad wine in the city. 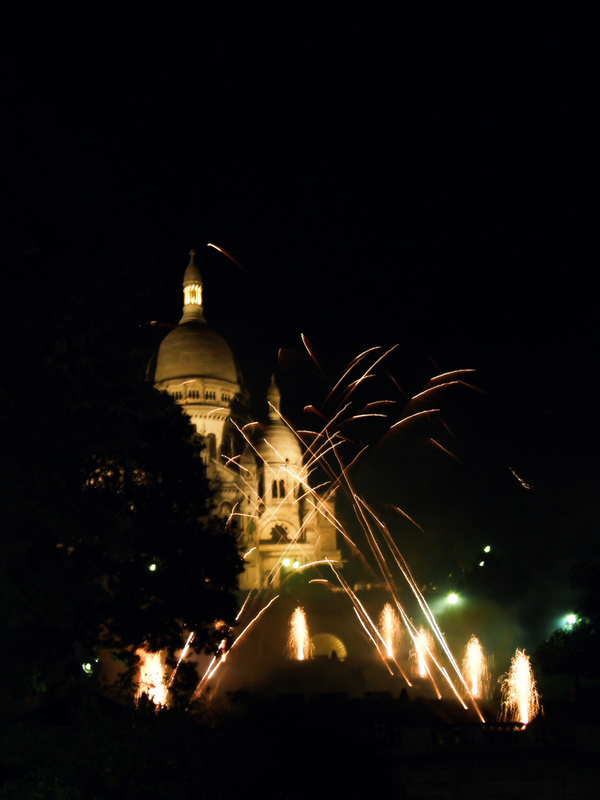 To celebrate this, fireworks are set off at the Sacre Coeur, and this year I made the trip for you. Love that first photo — a stunner! And the one of the kid covering his ears is too cute. 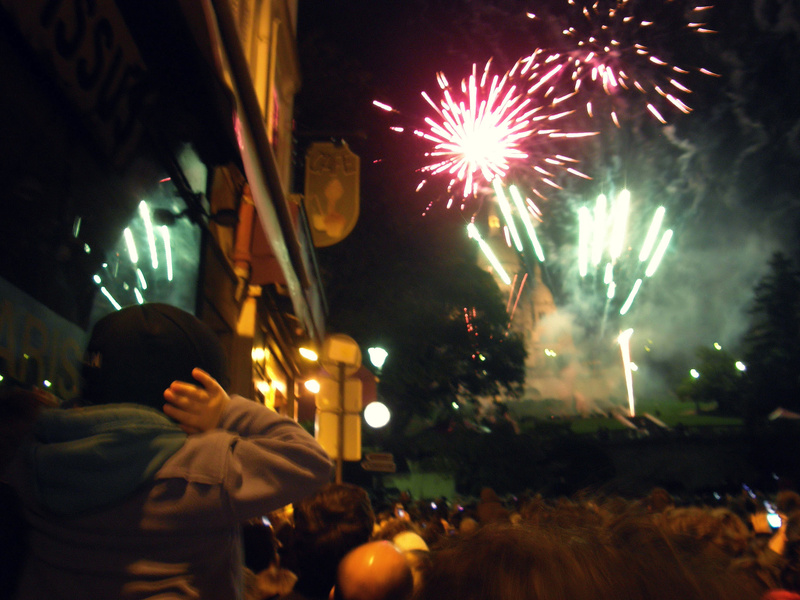 🙂 So glad you went out to see the feu d’artifice and celebrate the harvest season of the grapes for the some of the worst wine ever (allegedly, I don’t think I ever tried it, but it does not stretch the imagination to understand that it is not great! Plus I have it on good authority that it’s not fantastic). Thank you for the encouragement! I might not have gone without your Facebook nudge. Thanks for the props, babe. Thanks Duchesse! What a nice thing to say. 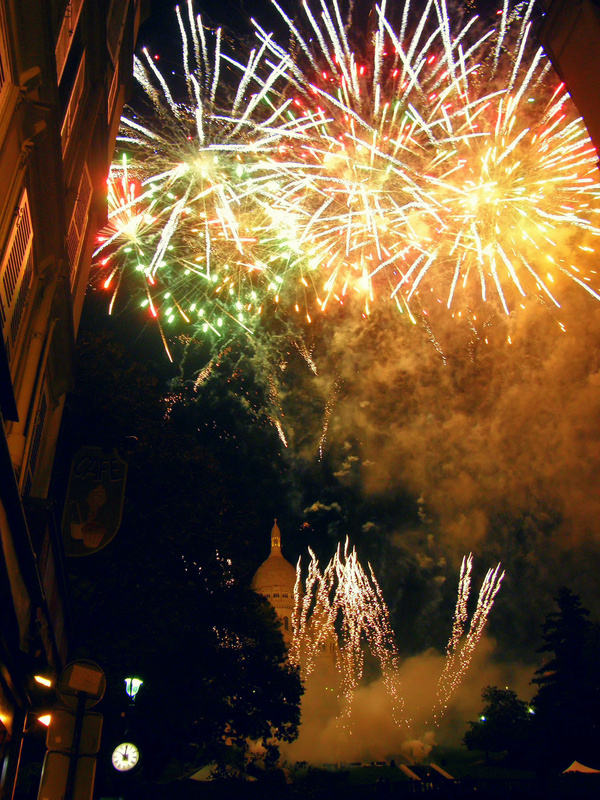 a cool festival in the coolest neighborhood ever. sad to have missed it.